9:30 Arrive and set up coffee and sweets, two pots high powered from Park + Vine and a pot of decaf from Stitwell's. Schenken and Tea Ring from Grater's and Girl Scout Cookies. 10:15 Introduce self, Chuck Lohre, Chair of the local Southwestern Ohio Chapter of the U.S. Green Building Council's Green Living Member Circle. The goal of the committee is to help the general public learn more about and experience sustainable buildings. And recruit members to the Chapter. - USGBC Green Living Member Circle is looking for members to help Captain the tours. Members of the local USGBC Chapter receive advance notice and preference for the tours. - 2016 Tours are being scheduled now. So far, we will tour a sustainable home for sale in January 2016, another residence in OTR and a 990 sqf home in Norwood with an organic garden. Also a potential LEED Platinum renovation home in Maderia is on the calendar for February. 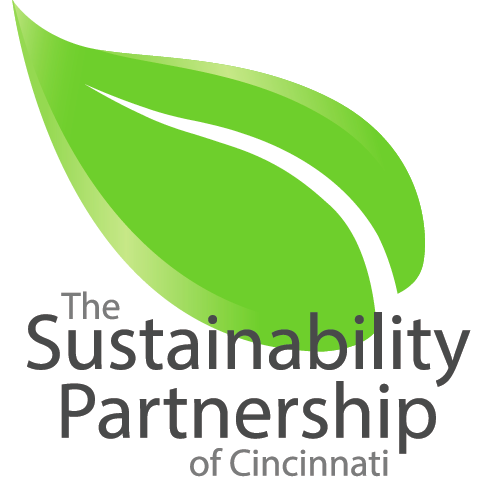 - These tours are sponsored by The Sustainability Partnership of Cincinnati through a Gold Sponsorship of the local USGBC Chapter. The partnership includes: Eco-Environments HVAC, Solar and Wind; Green Building Consultants HERS Rater and LEED Provider; Green Cincinnati Education Advocacy commercial LEED and Green Building consultant; Greenbau Construction full Service Green Design + Build; Greener Stock Sustainable Building Supply; Green Streets Green Roofs and Green Walls; One Small Garden Greenspot Growing System raised beds, garden sheds and chicken coops; Patterned Concrete of Cincinnati countertops, patios and drive ways; and Tepe Services full service landscaping. Introduce Dave Horton, Green Rater with LEED Provider GreenBuilding Consulting. Dave's job is to inspect the foundation drainage, insulation and air sealing while the home is under construction as well as many other aspects of the documentation and reporting. Describe host gift to the Wrights, The wine basket came from ReSource Cincinnati's fund raiser last fall. ReSource is a non-profit that helps non-profits. They accept office supplies and furnishings from corporations and then distributes them to local non-profits for a minimal handling fee. Chuck Lohre has been on their Board for several years and enjoys their efforts to keep the landfills empty as well as their educational best practices seminars for non-profits. The host gift also included a book on the history of the Frank Lloyd Wright designed Boulter House, 1956, in Clifton Cincinnati. The purchase of the home by Chuck and his spouse in 2003 inspired him to learn more about how Wright's Organic Architecture had evolved from his studies in architecture school before starting his career in marketing. Chuck believes that Mr. Wright would be a leader in sustainable architecture like LEED if he was practicing today. And also includes a $50 Gift Certificate to the Morlein Lager House, the one and only LEED Certified restaurant in Cincinnati. - Tour guide for 2015, other tours will be filling up fast so email Chuck Lohre or 513-260-9025 with the tours you would like to attend. - edible Ohio Valley winter issue, edible Communities is a publishing and information services company that creates editorially rich, community-based, local-foods publications in distinct culinary regions throughout the United States and Canada. - Greener Stock paint stick, Greener Stock is a one-of-a-kind Resource and Design Center in Cincinnati specializing in natural, non-toxic, and eco-friendly building products for the home and business including wall finishes, flooring, countertops, and water/energy efficiency. Owner Heather Curless also donated the Energy Star and brown paper bags. - One Small Garden plant stick and seeds, Believes everyone has a green thumb. With this belief, we’ve created unique raised beds, or Greenspot Growing Systems™, that take all the hassle out of gardening. - Park+Vine General Green Store coupons, Being a locally owned business, Park + Vine understands the importance of supporting products made right here in Cincinnati. They believe in supporting our city’s network of locally owned, independent businesses and community organizations working to keep money and character in our neighborhoods and build a thriving local economy. - City of Cincinnati LEED Tax abatement flyer, learn how you may be able to save up to $10,000, get a better home and a tax abatement extension of five years. - Metro Cincinnati info and LED flashlight, The Southwest Ohio Regional Transit Authority (SORTA) operates Metro buses and smaller Access buses for people whose disabilities prevent their use of Metro’s regular service. They will also be operating the new streetcar which passes by the Gaitan Residence. - Cresbie Crate and food containers, these are from a business Linda Fritz started. We will be touring her home and garden in Verona, KY in Sept.
- Two of four Being Green In Cincinnati. Published by Doug and Jason Sandhage, it highlighted Green Homes and individuals in the region. "My son, Jason, and I published the magazine Being Green in Cincinnati for four consecutive years. It was, without doubt, the largest, most comprehensive consumer “green guide” published for consumers in the country." - One year subscription to edible Ohio Valley, they also produce the Summer Green Market festival. Edible is a publishing franchise of 80 communities. Also an organic vinegar and oil salad mix from edible Ohio Valley.